ABC has ordered five more drama pilots. Four hail from sister studio ABC Studios — an untitled project from former CSI: NY showrunner Pam Veasey, Robin Roberts and Regina King; legal thriller The Fix from former O.J. Simpson prosecutor Marcia Clark; police dramas Safe Harbor, from Jason Richman, and Staties, from Matt Partney & Corey Evett and Maniac Productions. The fifth, dramedy A Million Little Things, hails from Aaron Kaplan’s Kapital Entertainment, which will be the studio. 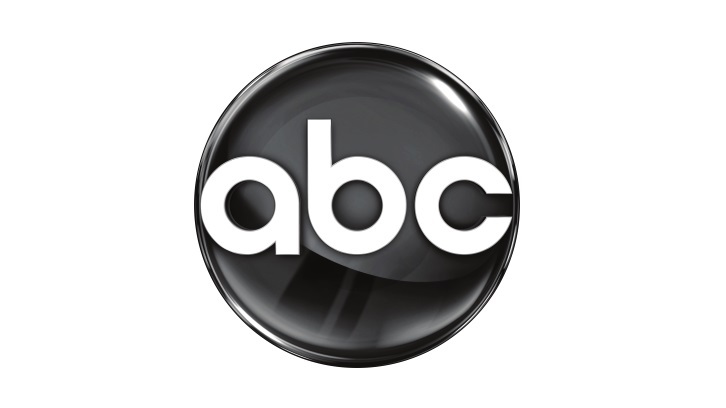 The Fix and Safe Harbor both are from ABC Studios-based Manveville, while Staties makes the first broadcast pilot order for Michael Seitzman & Christina Davis’s recently launched Maniac Prods., also based at ABC Studios. Written by Veasey, the untitled Holmes Sisters, explores the lives of five African-American sisters, all officers in the NYPD, as they face the challenges of their high-risk jobs while juggling the responsibilities of marriage, motherhood and family. Veasey executive produces with Roberts via Rock’N’Robin Productions and King via Royal Ties. The Fix, (fka the untitled Marcia Clark), described as part legal thriller, part confessional and part revenge fantasy, is written by Clark, Elizabeth Craft and Sara Fain (The 100). After losing the biggest case of her career and being shredded by the media, former prosecutor Maya Travis has left Los Angeles for a quiet life in rural Oregon. Eight years after her devastating defeat, the murderer strikes again, forcing Maya to return to Los Angeles to confront him one more time. Will she play by the rules, or will she do whatever it takes to get him behind bars? The drama is fictional — it’s a whodunit soapy, twisty thriller in the vein of Presumed Innocent and The Staircasethat examines a fictional case from all sides of the law, going home with the characters and exploring how the case is affecting their lives. Still, its starting point draws parallels to Clark’s real-life story of a prosecutor who presided over “the trial of the century”, finding herself in the eye of a media storm when O.J. Simpson was found not guilty of murder. Craft, Fain and Clark executive produce with Mandeville’s David Hoberman, Todd Lieberman and Laurie Zaks. Richman is returning to the cop beat with Safe Harbor, moving from Motor City, where his ABC series Detroit 1-8-7 was set, to Los Angeles. Written and executive produced by him, Safe Harbor chronicles the colorful, complicated lives of cops on and off the beat as we follow them into harrowing, emotional and often humorous situations. Richman, who was recently a writer on PBS’ Mercy Street, executive produces with Mandeville’s David Hoberman, Todd Lieberman and Laurie Zaks. Staties is written and executive produced by Matt Partney and Corey Evett. It centers on Eliza Cortez, a hard-charging NYPD detective who’s banished to the boonies after a high-profile mistake and is paired with a new partner, Oregon State Trooper Sam King. Sam’s investigative techniques don’t exactly follow protocol, as evidenced by his talking to trees for clues and his obsession with flying kites. Eliza is a fish-out-of-water in this police procedural set in an eccentric town of quirky characters in coastal Oregon. Michael Seitzman & Christina Davis executive produce via their Maniac Productions. The company just landed a series order at Freeform for Cleopatra. A Million Little Things, is a dramedy, whose title stems from the popular adage,”Friendship isn’t a big thing – it’s a million little things,” is described as being in the tone of The Big Chill. It is about a group of friends who, for different reasons and in different ways, are all stuck in their lives, but when one of them dies unexpectedly, it’s just the wake-up call the others need to finally start living. The hourlong drama with comedy elements — about a group of eight friends, four men and four women, in which the one whose life looked most put together commits suicide — is loosely based on personal experience. “It’s an optimistic look at how the loss of a friend is the impetus for the other seven to finally start living, to make a promise to him and to themselves to finally be honest about what’s really going on,” Nash said back in August. “I know in my own life, my friend’s passing is a constant reminder to keep things in perspective. ABC has picked up two more pilots, Whiskey Cavalier an hourlong action-dramedy project executive produced by Bill Lawrence, with Scott Foley attached to star and produce; and multi-camera comedy Most Likely To from Diablo Cody and Berlanti Productions. Warner Bros. TV is the studio for both. Whiskey Cavalier, which had a put pilot commitment, hails from writer Dave Hemingson, WBTV and Lawrence’s studio-based Doozer Prods. Written by Hemingson, Whiskey Cavalier follows the adventures of FBI agent Will Chase (codename: Whiskey Cavalier) — played by Foley — who, following an emotional break-up, is assigned to work with CIA operative Francesca “Frankie” Trowbridge (codename: Fiery Tribune). Together, they lead an inter-agency team of spies who periodically save the world (and each other) while navigating the rocky roads of friendship, romance and office politics. Hemingson executive produces alongside Doozer’s Lawrence and Jeff Ingold; Foley is a producer. Most Likely To is written and executive produced by Cody. The logline: In high school, Liz Cooney had everything and Markie McQueen had nothing. 20 years later, they’re reunited under the same roof as single moms and unlikely housemates. Greg Berlanti and Sarah Schechter executive produce for Berlanti Productions, which produces in association with Warner Bros. TV.